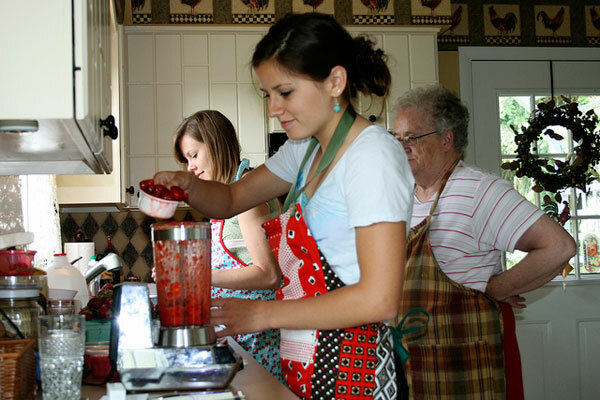 Food is deep rooted in family tradition. Like my dad’s pizza pies that his dad taught him to make. And Grandma Motz’s sugar cookies, passed down through five generations. Aunt Jane’s apple pie, Aunt Esther’s chicken and dumplings, and my mom’s sheet cake. Nick’s mom is known for her frozen brownie sundaes, and his dad makes irresistible boiled cookies. There’s Grandma Martin’s snickerdoodles and Kirsten’s Oreo truffles and Megan’s monster cookies. Each bite tells the story of a person and a place and a time; it evokes a memory. 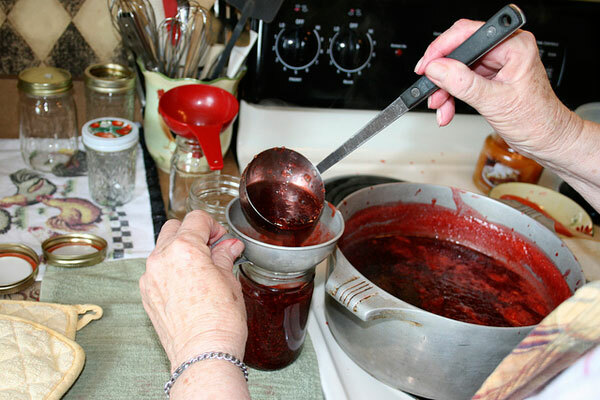 And this is the story of my grandmother’s strawberry preserves. Grandma grew up in a row home in the city. She carried pretty purses and went dancing with her girlfriends on Friday nights. Then she met my grandfather, who lived on a farm. He drove tractors and baled hay and milked cows. They were an unlikely couple — but a perfect one. For years after they were married, Grandma and Grandpa worked as farmhands. Grandma learned to raise chickens and tend to an orchard and, on more than one occasion, could be found chasing pigs down the road with broomsticks. 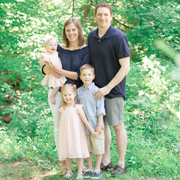 It may not have been the life she originally envisioned for herself, but it has been one filled with much love and happiness. 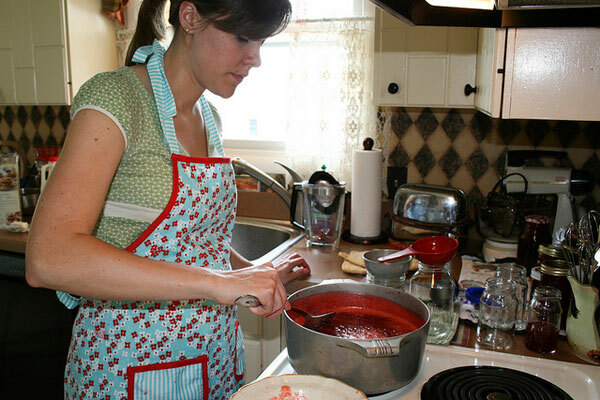 Somewhere along the way, Grandma also learned to make strawberry preserves. Grandpa filled boxes with ripe red berries from their backyard and Grandma would blend them, boil them, and preserve them in jars. It was a skill she taught herself and one I’ve wanted to learn for many years. Finally, over Memorial Day weekend, she shared her recipe with me and my sister. After she clarified that, we got to work. Then she put me in charge of stemming them, making sure I didn’t let anything good go to waste. Laura then took the sliced berries, measured them (5 cups total), and added them to the blender — a blender that I suspect is older than me. 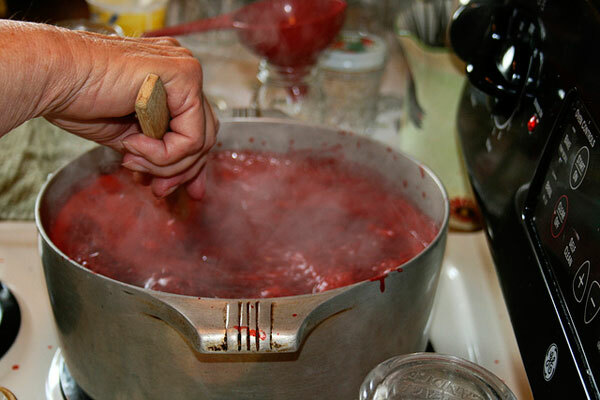 Meanwhile, in a heavy pot — one that Grandma has been using for several decades — Laura added 1 box of pectin to the 5 cups of strawberries. She also added 1/2 spoonful of butter to prevent the mixture from foaming and brought it to a full boil over high heat, stirring constantly. Then she added the 7 cups of sugar and returned it to a boil. Grandma let it boil for exactly 1 minute, stirring constantly. Then she removed it from the heat and skimmed off any foam. 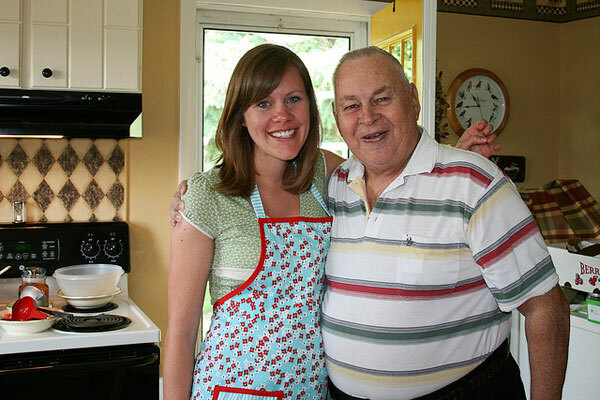 While Grandma and Laura finished the first batch, I took a minute to visit with Grandpa, who had returned home just in time for strawberry shortcake. Yes, we ate strawberry shortcake while making strawberry preserves. I suppose my love for strawberries is genetic. After a quick chat and snack, I took over and finished the second and third batches. 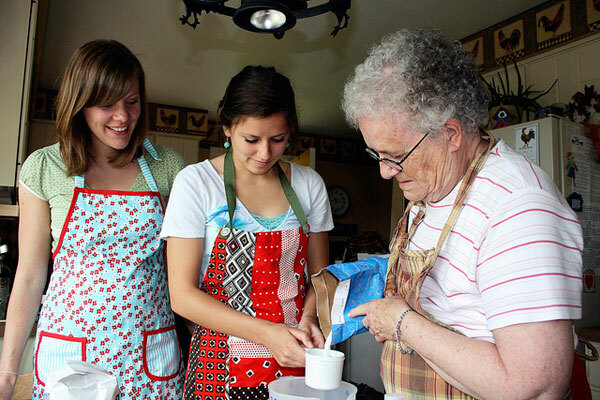 Grandma had washed the jars before we arrived, so they were ready to be filled. And fill them we did! We made about 20 jars total. 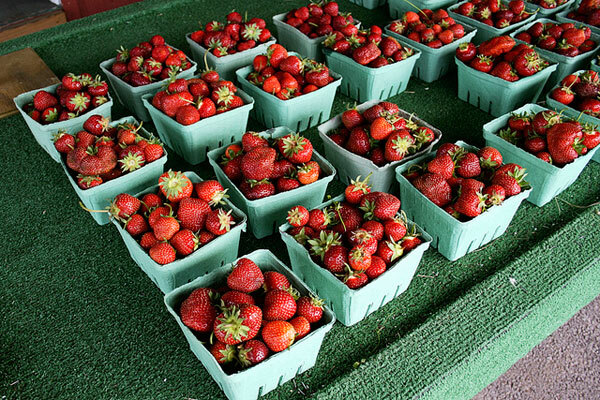 And Grandma has plans to make a few more batches before the berries disappear from market stands. I do wish their season was a longer one! 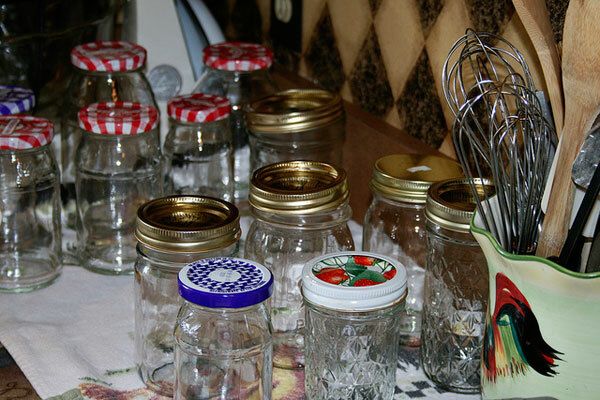 Every year, Grandma distributes jars of her preserves to each member of the family. We typically put one in the refrigerator and the others go into the freezer to (hopefully) last until next June. This year I was especially excited to line up the jars of shiny red sweetness. And of course I had to sample some as soon as I got home. Ahhh summer in a jar. With a side of peanut butter. Thank you so much, Grandma, for spending your Monday with us and for sharing your knowledge. (Also thanks to my mother for playing photographer.) Hopefully next year Peanut can help! Because if he/she likes Grandma’s strawberry preserves as much as Nick and I do, we’re going to have to double our annual supply. Wash jars in hot, soapy water (or in the dishwasher); let dry. 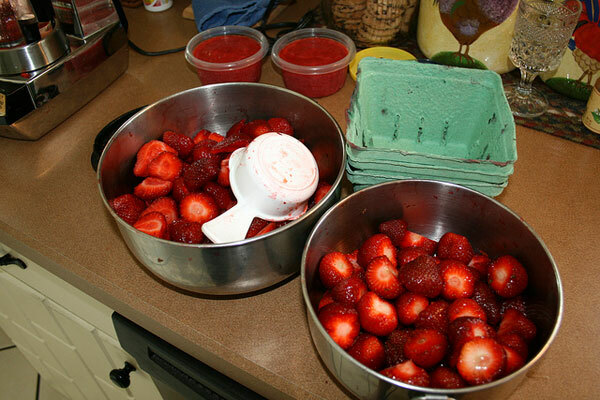 Measure 5 cups of chopped strawberries and place them in a large sauce pot. Measure 7 cups of sugar and set aside. Stir 1 box of pectin into sauce pot with strawberries. Add 1/2 teaspoon of butter to reduce foaming. Bring mixture to a full rolling boil over high heat — one that doesn’t stop bubbling when stirred. Stir in sugar and return to a full rolling boil. Boil exactly 1 minute, stirring constantly. Remove from heat; skim off foam. Ladle into prepared jars. Wipe jar rims and threads, and lightly screw lids onto jars. Let cool for about an hour before screwing the lids on tightly. 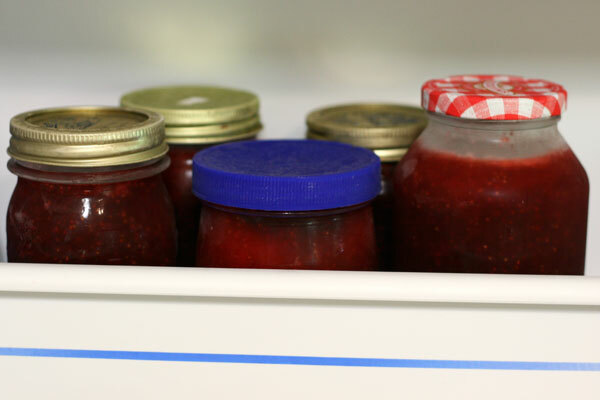 Refrigerate all jars over night, then move to the freezer, if desired. 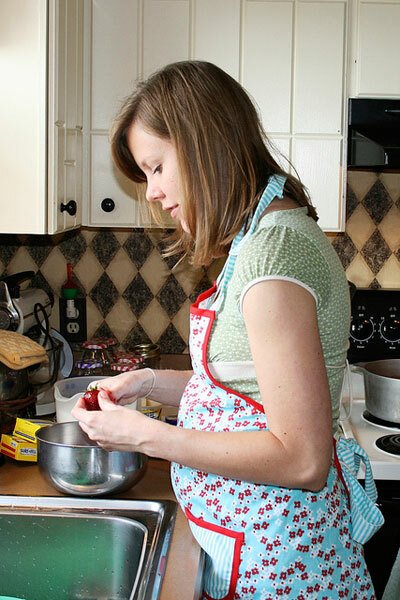 I get that this is SO not the point but I really love your apron – how do I gets me one of these? You’re too funny. 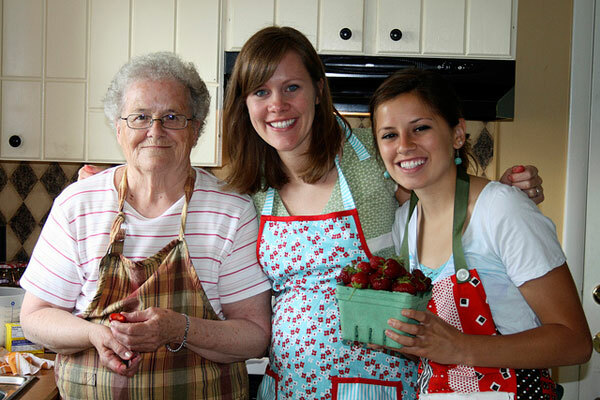 The apron is actually my grandma’s — she’s so stylish! And sweet … she gave it to me at the end of the day. I think she got it at Macy’s. She also finds great aprons at Pier 1. My favorite thing about reading The Culinary Couple is the way you show how food nourishes more than just the body, and I think this piece perfectly shows how it nourishes the soul. The connection between food and family comes across so clearly here. Lovely. Also – where can I find pectin? Is it sold in most grocery stores? You are too kind, Kristin! I do love how food so closely connects to the people who grow it/make it. As for the pectin, yes, you can find it in the grocery stores. It’s in the canning aisle. We used the Sure-Jell brand. Great story. 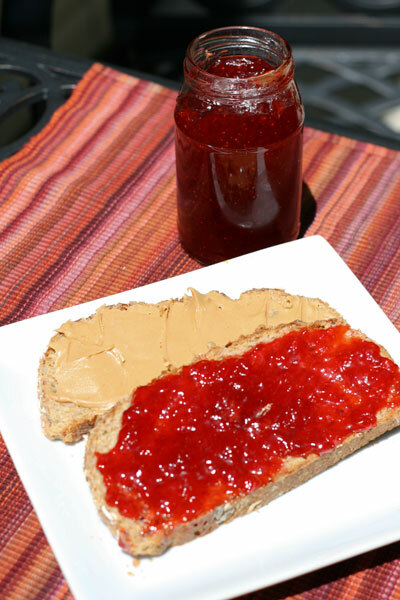 There is nothing better than a good PB & J. I imagine with your Grandma’s preserves, it was even better! Yum! 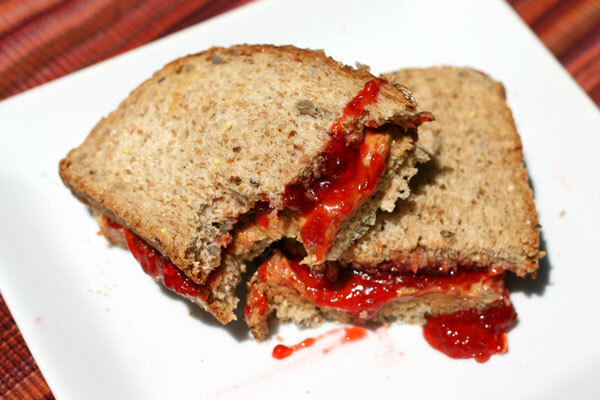 I love strawberry jam. 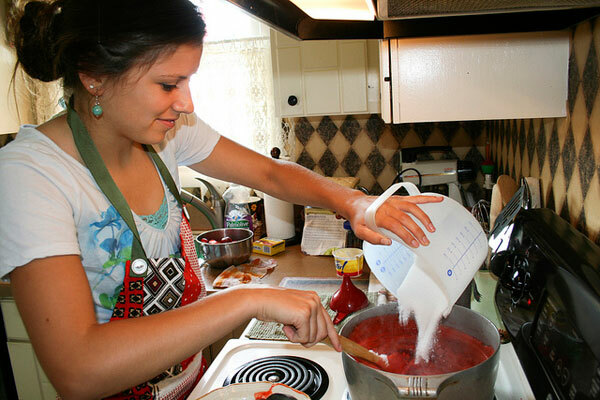 Love how your aprons match the bright pink preserves! So cute. Do you sell?? if you do could you please forward a price. we need an order of jam in 4oz mason jars.